opportunities for imported resin and preforms"
At CMT's recently held PET Asia conference, David Swift, Managing Director of PCI PET Packaging Resin & Recycling Ltd, a London based PET consultant with good global knowledge of the PET market acknowledged that there will be 20 Millon tons of PET demand globally this year over 27 M tons of PET supply. And that Asia Pacific remains the power house with 49 producers and global confirmed capacity expansions mostly in the region. With overcapacities and PET resin being significantly cheaper in Asia, never has there been a more opportune time for resin producers to ship to the USA. Can PET imports meet North America's demand for quality and consistency ? How about challenges on the import duties, complexities of custom clearances, shipment delays and shipping damages ? Many of the PET resin suppliers supplying to the US market struggle with the strict customs clearance and regulations including logistics challenges. However this does not hinder them for supplying - especially to the West Coast buyers, as it is much more economical then sourcing from domestic production in the East Coast as inland transportation to the west is at a high premium. Recycled resins are increasingly competing with virgin PET resins. As China Operation Green Fence started to roll out last year, North America recyclers is waking up to the new reality that the quality of U.S. exported material is going to be more closely scrutinized and graded, hence forcing US to have higher standards for what they export out. Given that China's appetite for scrap materials is voracious, what is likelihood of the Chinese government relaxing this policy in the near future ? Domestically in the US, there is growing interest for usage of recycled PET in the fiber industry ,primarily industrial fibre, apparels and carpet industry applications. In recent years, more and more consumer recycling programs have been established in communities across the United States. In the man-made fiber arena, rPET materials are the major raw material sources for recycled-content fiber products. Today recycled polyester textile products are offered by many brands including Adidas, Nike, Under Armour, NorthFace, Patagonia and many others. and now North America (NAPET). Our program agenda incorporates latest market and technological developments in the entire PET Value Chain, from PET Resin and Raw Materials (PX/PTA/MEG), to PET Preform and Packaging Productions, to Recycling. 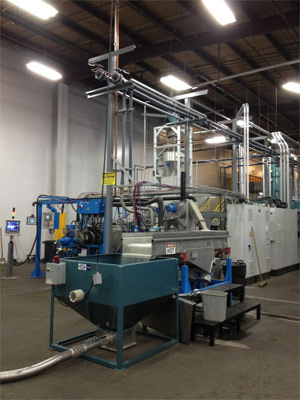 Verdeco Recycling, Inc. is a California-based company committed to producing high-quality recycled Polyethylene Terephthalate (PET) material for use in food packaging and other high-value applications. 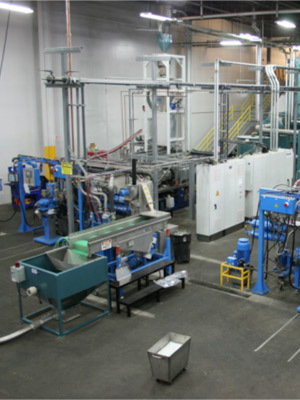 In the summer of 2012, Verdeco Recycling opened a brand new facility in South Gate, CA that has capacity to produce up to 50 million pounds annually of FDA-approved, food-grade recycled PET. Portugal's PET manufacturer GEPACK will be catering to the American markets with its new PET manufacturing facility in Arizona. The new facility will be located in Peoria, Arizona, near Phoenix and it is expected to open by end of this year. Arizona was chosen after considering other locations and was preferred because it's close to California - where GEPACK already has many customers. These customers are, currently, importing from GEPACK Portugal facilities. With the new facility, GEPACK will be able to supply directly to its US customers. GEPACK manufacturers high quality PET bottles and caps for major manufacturers around the world. 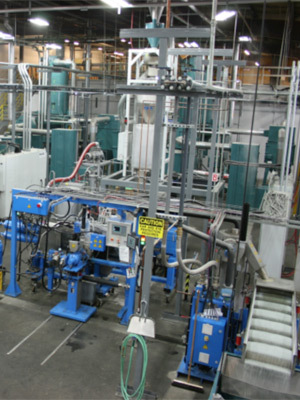 The 12,000-square-foot facility in the US will produce PET bottles. GEPACK also plans to open other facilities in the US. Rui Peneda, General Manager, GEPACK will share more details in the session on 'GEPACK | A True Alternative to Glass - A new Premium PET container provider for the US market' at the upcoming NAPET (North America PET Markets, Trade, Recycling) conference in Los Angeles on 12-13 November, 2014. 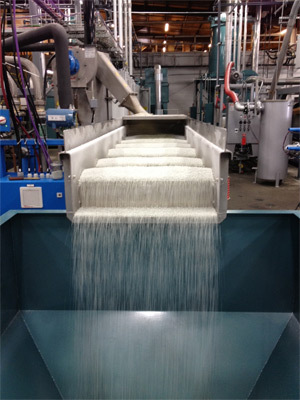 CarbonLITE Recycling has signed contracts with Bulk Handling Systems (BHS), where the latter will supply primary process equipment for CarbonLITE's new PET recycling plant in Abilene, Texas. Pegged at a total investment in equipment & infrastructure of more than $60 million, the plant will have a recycling capacity of approximately 100 million pounds (45 million kg) of PET beverage bottles into pellets which can be further processed into new bottles. The CarbonLITE group's plant in California already has a recycling capacity of roughly 100 million pounds per year. BHS will deploy its sorting modules from NRT (its Nashville, Tennessee based subsidiary) for sorting the front-end, bale-opening and bottle at the new plant. BHS will procure other modules for label removal, bottle-washing, grinding and flake-washing from AMUT - the Italy based equipment manufacturer while EREMA North America's Prime technology will be used for food-grade purification and pelletising. It's expected that the installation of equipment at the Texas plant will commence in Q4 2014, while the first production is likely to start in Q2 2015. More updates on North America's PET industry will be discussed at NAPET (North America PET Markets, Trade, Recycling) on 12-13 November, 2014, Los Angeles. Contact Ms. Hafizah at hafizah@cmtsp.com.sg or call +65 6346 9218 for more details on the conference.